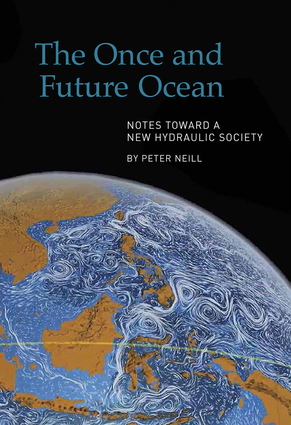 Peter Neill's The Once and Future Ocean aspires to do nothing less than transform our relationship with the world's most promising and imperiled natural element: the ocean and the inter-connected cycles of water, essential for all aspects of human survival in the 21st century. A successor to the work of Rachael Carson, Aldo Leopold, and Jonathan Schell, The Once and Future Ocean is ambitious in scope yet grounded in actionable, specific ideas and solutions for preserving the health of the world ocean. It explores the ocean's impact on climate, fresh water, food, energy, health, security, sustainable development, community living, and cultural traditions. Neill proposes a new paradigm for value and social behavior around which to build a new post-industrial, post-consumption global community. This fundamental shift is directed toward the creation of a "new hydraulic society" wherein water in all its cycles and conveyances will determine how we live – from our buildings and cities to the structures of governance in an increasingly populated world. Neill calls for a new ocean ethic and offers concrete examples of technologies and applications that already exist but have been suppressed by vested interests. The Once and Future Ocean argues for invention and new solutions, for new answers to fundamental questions, and for a new relationship built around the ocean as a source for new modes of living that are within our grasp if only we have the courage to take hold. Peter Neill is Founder and Director of the World Ocean Observatory, a web-based place of exchange about the ocean and its relation to climate, fresh water, food, energy, health, security, economic development, policy, governance, and cultural traditions. He is the past Director of the Connecticut Marine Science Consortium, the Maritime Preservation Program at the US National Trust for Historic Preservation, and the South Street Seaport Museum (New York). He is the author of three novels, numerous books on maritime art, history, and literature, and the ongoing audio feature, World Ocean Radio, available as a blog, podcast, and in distribution in the US and around the world in six languages.